This striking ring holds a 1.11ct. 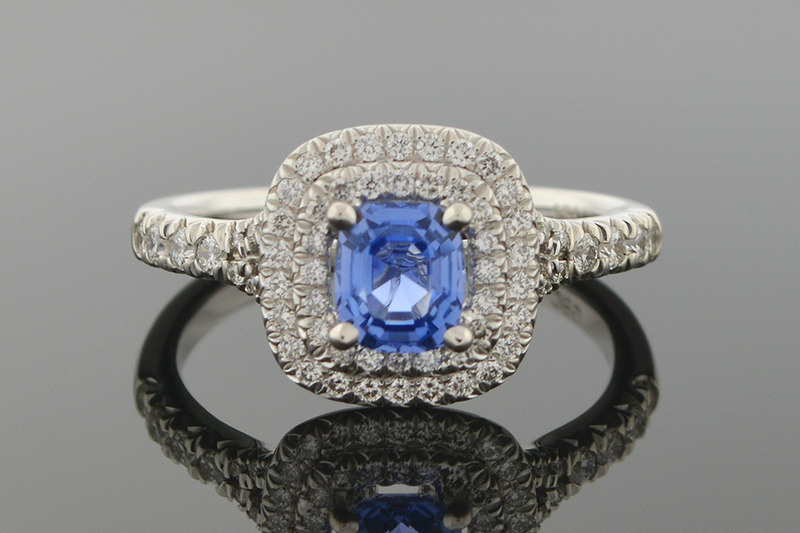 cushion cut no heat sapphire. Accenting the ring are 66 round brilliant cut diamonds that have a weight of approx. 0.42ctw.